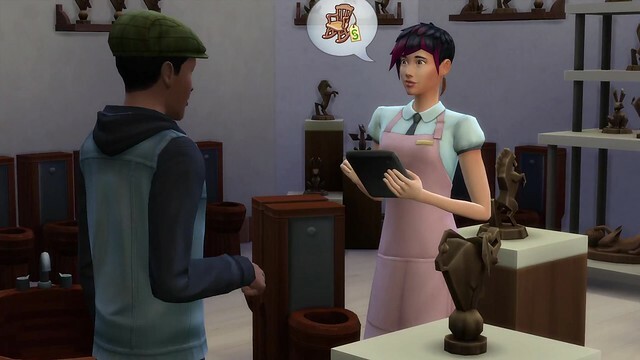 Active Careers – Careers are the type of employment where your Sims go to work without you, the Player, and simply return home after their workday. Professions are the type of employment where you, the Simmer, get to go to work with your Sim and control their actions throughout their workday. When it’s time to go to work you are prompted to make a choice. You can either send them off by themselves or you can travel with them. If you send them away alone they’ll return after the workday is complete (just like Careers). If you choose to go with them you will both travel to the Work Venu (only accessible during work time) and you will be presented with work goals to complete. While you are with the Sim at work you can direct them to perform tasks that contribute to their workday performance. These are tracked using the Scored Career Event. Better workday performance means Sims earn more Simoleons for that shift and contributes to their overall Work Performance; essential for promotions! If the end of the workday is approaching too fast (or maybe not fast enough), click the timer button on the Event user interface. There you can either Leave Work Early or Stay Late a couple of hours. At the end of the day, you’ll see your Sim’s earned income and any new career info if you were promoted. 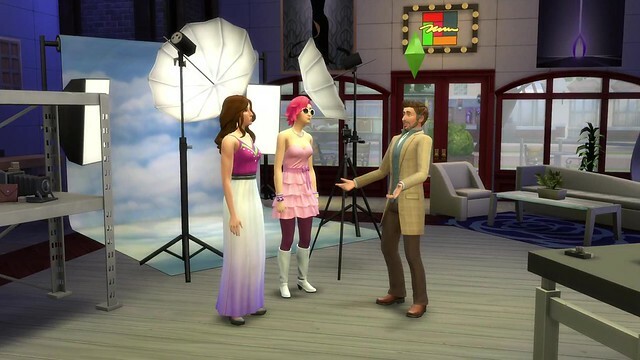 If multiple Sims in your household are in Professions, only one Sim at a time can go to work with the player. If you’re at work with a Sim and it’s time for someone else to go to work, then the Sim will go by themselves and return home at the end of their shift (just like Professions). While at work with their Sim the Player can still switch control to other Sims on their skewer. The first Sim will remain at work (but no longer add to the workday progress). The Player can switch back to the at-work Sim at any time, or if enough time passes, the Sim will return home when the workday ends. Doctor Career – Just another day at the hospital for Sim doctors! Players can gain experience and strive to become the best doctor in town. Sims in the foctor career start off as Medical Interns but with a little hard work and experience they can eventually perform surgeries as seasoned doctors! During the workday, patients with a sickness will be admitted and trickle in throughout the day. Low level doctors will help patients get situated and comfortable. After some experience, your Sim’s tasks will change to include tidying up the hospital and aiding the doctor in treating patients. Higher level doctors will have the chance to aid, examine, diagnose and treat patients. 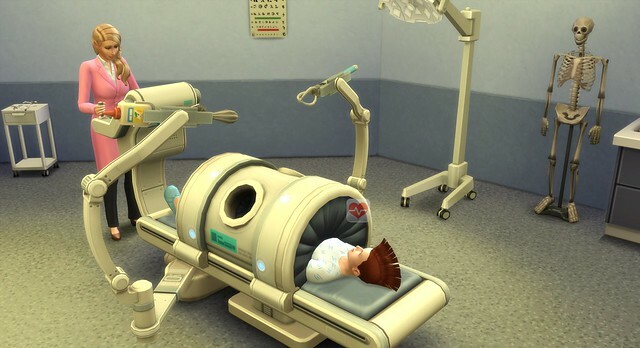 Before a doctor can treat a sick Sim, they must determine a diagnosis. This is done by performing exams, giving X-Rays, or analyzing samples. After enough tests have been run, the doctor will be able to diagnose a patient. Once a diagnosis has been reached, it can be presented to the patient. Doctors can treat the patient, which may have varying results depending on the career level. More experienced doctors will be able to provide better diagnoses and treatments to their patients. Sometimes during the workday, emergencies will arise. These can range from an emergency surgery, to giving birth. Doctors should be ready to go when an emergency arrives at the hospital. 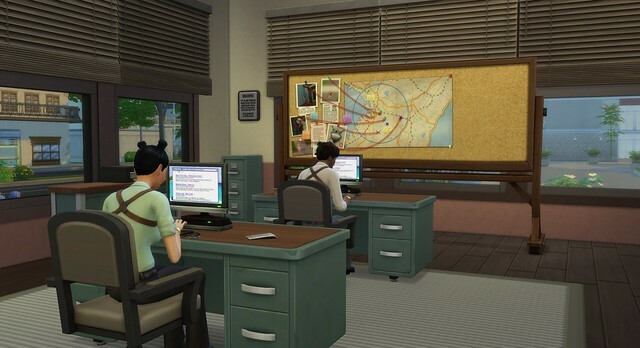 Detective Career – Is your Sim super-sleuth? Or have a knack catching Sims in a lie? Or perhaps just an honest-to-goodness do-gooder? Then join the ranks of Sim’s finest by becoming a detective! Detectives aren’t pencil pushers stuck behind a desk – they have different locations they frequently work in: Police Station, at Crime Scenes, and they can be found patrolling the streets. The Police Station is the main hub for police and detective activity. There are holding cells for detaining the accused, booking areas to process suspects, and interrogation rooms to…get a confession. There is also a crime lab which is used to gather and analyze clues. And of course, the office area where Sims push paperwork. Sims in the detective career will have cases assigned to them. Once a case is in hand, the Sim’s jobs is to find and analyze clues that help point to a suspect. Once enough clies are found, the detective can issue APB (from the Crime Map) and start asking around to see if anyone recognizes the suspect’s profile. 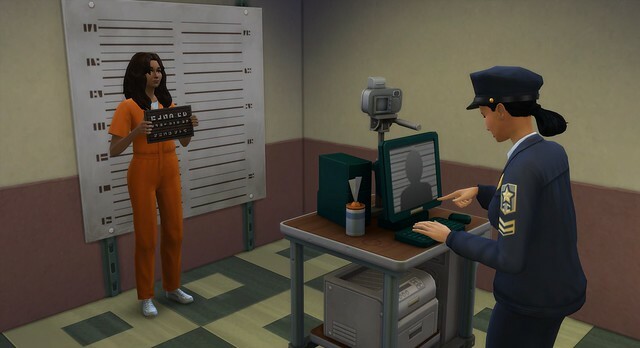 As arrest can be made if an appropriate Sim is located. The more clues the detective finds, the more specific the description of the suspect. Finding more clues will also assist detectives during interrogations. When on-the-job with an active case, detectives can Travel to Crime Scenes to examine the scene of the crime, search for clues, and interview witnesses. Find Travel to Crime Scene on the Crime Map, Police Desk, and when traveling to other regions in the open street. Sims of the law will patrol the streets on foot. While on patrol, officers can issue citations for littering or fighting, or get to know citizens. The Go On Patrol interactions can be found on the Police Desk, Crime Map, and when clicking in a “travel region” in the open street. Scientist Career – Does your Sim like to invent things? Well now you can make money by doing it! In the Scientist career you Sim will Conduct research and collect specimens. These will then be used to discover new compounds and devices. YourSim’s creations can lead to new discoveries or inventions! Scientists work on their own lot, which includes a science lab and has an area for exploration. 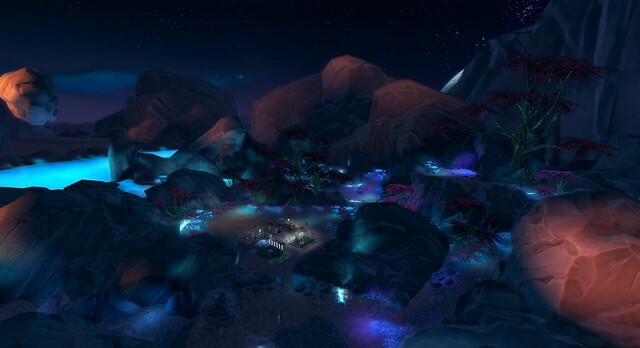 There are also open areas where other Sims can access. Make sure to watch out for those pesky tourists that come to check out the local park! Scientists can use the Invention Constructor to prototype and build devices they’ve invented. 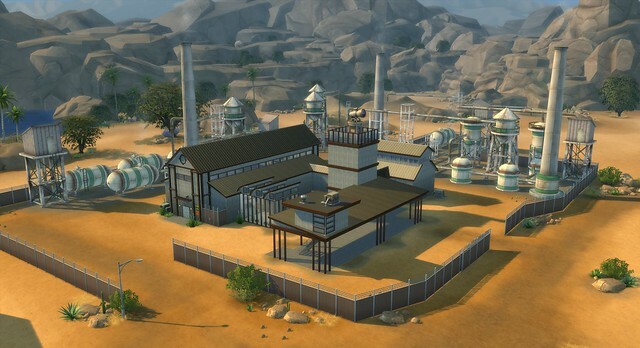 Sims must first have a Breakthrough, then have the appropriate materials to construct devices. Sims who are higher in the scientist career will have a better chance at creating a device that actually works. Scientists can Brainstorm with the constructor, which will help towards the next Breakthrough. Scientists can also create Serums, which are potion-like concoctions that have wild effects such as curing sicknesses or turning a sim into a ghost. The quality of potion depends on the career level of the scientist. Serums can be crafted and tainted at the Chemistry Lab. Scientists love to experiment! Who knows where these crazy creations can lead? Mind control Sims, Transform Objects, or maybe even Aliens! Scientist Breakthroughs – Science is driven forward by breakthroughs. The more a scientist conducts experiments and does research, they will build towards having a breakthrough. Even rudimentary tasks such as brushing a Sim’s teeth can contribute towards a breakthrough. 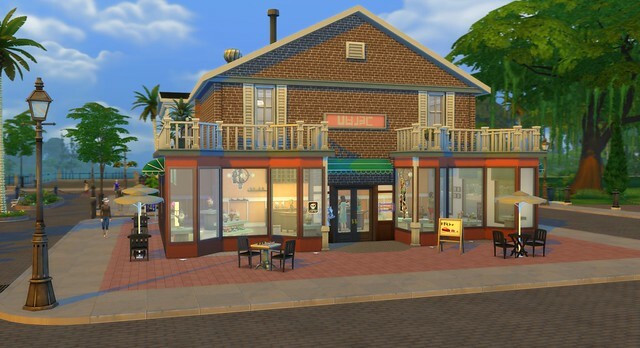 Retail (Store Ownership) – Sims can own a store to sell various items and earn Simoleons. To open a store, use the Phone or Computer and select “Buy Retail Store.” You can buy and existing store, or purchase any unoccupied lot and start from scratch. Better yet, there’s no limit to the number of stores you can own! Retail stores are owned by the household (and not per Sim); as such, you can own a store while maintaining a separate career. When you first arrive at your store you’ll be asked to transfer some funds to your business to cover basic operating expenses. To learn more about managing your money, read the “Retail – Store Funds” lesson. When you open your store, the Retail Store panel will appear on the bottom right corner which contains many helpful shortcuts to running your store. All of the interactions in this panel can also be found on your cash register. Greet customers that arrive to the store, then use retail socials to encourage them to purchase something. When their purchase intent bar reaches the top they’ll be ready to buy. Read the “Retail – Customers” lesson for more tips on how to effectively sell. When an object is sold, it will be replaced by a signpost indicating it’s out of stock. You can restock the item yourself at cost (the amount it’s sold for in Buy Mode), or instruct one of your employees to keep the store stocked. There are Retail Perks you can earn that allow you to restock faster, or have restocking cost less money. Read the “Retail – Perks” lesson for more details. If you decide you no longer want to run your store, you may offload it by using the “Sell Store” interaction on the register while the store is closed. Your store’s funds will be added to the value of the lot and get refunded to your household. Once you’ve sold your store, it will continue to run under new management, and you can visit it in the future as a customer! Since your Sim is the boss, they can dictate what the employees do during the work shift. The “Assign Work Task” interaction appears when clicking on the employee. They can be instructed to do things such as assisting customers, restocking items, or cleaning the store. 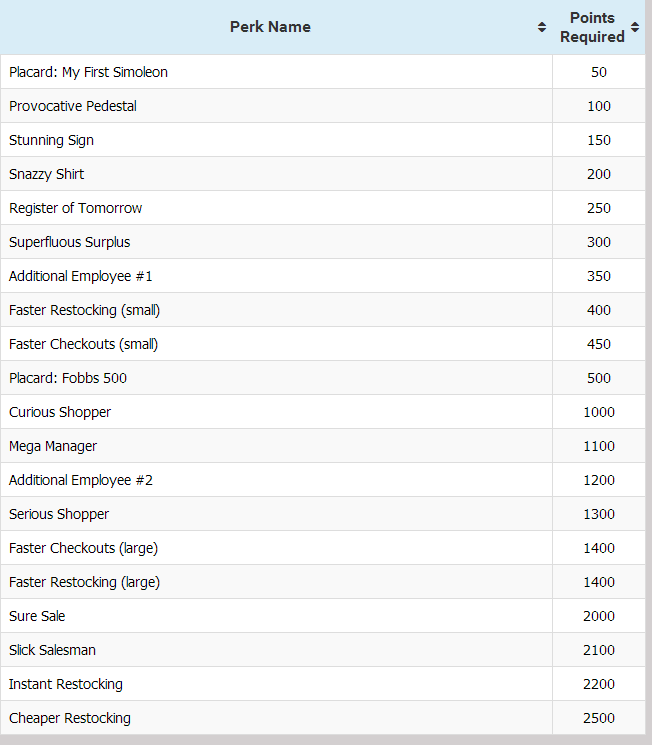 Assign a variety of tasks to your employees to make your store run at peak efficiency. Employees have three different skills that determine how well they work: Sales, Maintenance, and Work Ethic. Sales focuses on how successful they are interacting with customers, and how quickly they can ring up on shoppers who are ready to buy. Maintenance involves how fast employees will restock items and clean. Having a higher Work Ethic reduces the chance that employees will decide to slack off during their shift. Use the “Manage Employees” interaction on the register to quickly check the status of your employees. You can view their skills and current pay level, and see how satisfied they are with their employment. You can use his panel to give a worthy employee a raise, punish an employee with a demotion, or outright fire a worker who isn’t working out. An employee’s satisfaction is raised by being paid appropriately for their skill level, receiving praise from the boss, and from positive social interactions. Berating your employees, demoting them, or working them longer than eight hours per shift are just some of the ways to lower their satisfaction. If they get too upset, don’t be surprised when they quit! While your employees are on the job, be sure to keep an eye on them as they may slack off from time to time. If you catch them playing with their phone, socializing with each other, or goofing around having fun, be sure to select “Berate For Slacking” on them to get them working again. Berating a Sim that was slacking will actually help raise their work ethic skill over time. As your store becomes more successful, you can unlock the ability to hire additional employees (up to a maximum of three) using your Perk Points. See the “Retail – Perks” lesson for more details. Additionally, any member of your household that’s a teen or older can pitch in and help manage the store. Retail (Customers) – Customers will enter the store while it’s open, and may choose to buy an item. Customers will consider how much they want to make a purchase and how long they want to spend shopping to determine if they actually buy something before they leave. The number of customers that visit your store depends on your store’s curb appeal. The types of objects you have on your lot affects your curb appeal, and purchasing advertising can provide a significant boost in foot traffic. Read the “Retail – Curb Appeal” lesson for more information. The prices set in your store are an important factor in the ease of selling items to customers. If you go for clearance pricing, customers may not need any convincing to make a purchase. If you set your prices to exorbitant though, be ready to spend time applying pressure and go for the hard sale to get them to hand over their money. A purchase intent bar will show up over a customer’s head while interacting with them which indicates how close they are to purchasing an item. The bar will move when you use retail social interactions on the customer. If it reaches the top, they’ll immediately buy! If not, they still might choose to purchase something when they’re finished shopping. When using a retail social interaction on a customer, watch the panel in the top center of the screen for context of how interested the customer is. They can be just window shopping, receptive to your sales pitch, or interested in buying. The higher their interest is, the more retail social interactions unlock for you to use on them. Retail (Curb Appeal) – The number of customers that visit your store is determined by your store’s curb appeal. You can purchase advertising to temporarily increase your curb appeal, or place items like retail signs or neon signs for a more lasting impact. You can check the level of your store’s curb appeal by viewing the Financial Report on the cash register. To purchase advertising, click on your store’s cash register and select either Web or TV advertising. Each type of advertising can be purchased for a one time upfront fee, and comes in short and long blocks of time. Web advertising provides for a quick spike of customers that fades off towards the end, while a television ad provides a consistent boost of customers over the duration of the campaign. Signage is another great way to attract customers and boost your curb appeal. There are a variety of retail signs available in the catalog that match a variety of wares. Retail neon signs really catch the attention of Sims as well! Sims with the handiness skill can even upgrade their neon signs to animate or break less often. Finally, curb appeal is slightly boosted by the contents of your store itself. Simply having a number of items decorating the store will lure some shoppers in. Having a nice variety and amount of items for sale will tempt them to stop by even more. Retail (Mannequins) – Mannequins allow you to run a clothing store that sells fashions of your own creation. Mannequins are purchased from Build Mode, and can be customized and dressed after they’ve been placed on a the lot. They come in two different styles, and are available for adults and children of each gender. When mannequins are first places on the lot they don’t arrive with any clothes to sell. 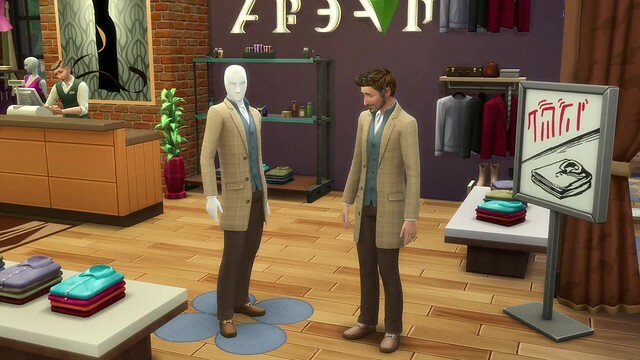 Interact with the mannequin to create outfits in Create A Sim, or roll the dice on a random outfit if you’re in a hurry. You can also edit the shape of a mannequin in Create A Sim the same way your would with a Sim. You can create outfits that are shared between each type of mannequin (Adult Male, Adult Female, Child Male, Child Female) per lot. To create additional outfits in Create A Sim, click on the outfit category, then click on the arrow above the category. Here you can add up to 5 outfits per category, for a grand total of 30 unique outfits. Once your mannequin is dressed, you’re ready for customers to come try on and purchase your fashions! You can dress the mannequin in outfits you’ve created anytime at no charge, but you will need to pay a fee when restocking your mannequin following a customer’s purchase. You’ll know it’s time to restock when you see the out of stock necklace replace your mannequin’s clothing. Mannequins do have some limitations to keep in mind. You can have a maximum of 10 per lot, and they can’t exceed 30 outfits per type of mannequin per lot. That means that you can have mannequins on different lots wearing entirely different outfits, but if you move them to be on the same lot, some outfits will be lost in the process so as to not exceed the 30 outfit limit. Retail (Store Funds) – As a store owner, your store’s funds are tracked separately from your normal household funds. Each store that you own has their own separate finds that are used to cover the store’s expenses. When you visit your store, you can simultaneously view your store’s funds in the Retail Store panel in the bottom right corner, along with your households finds in the bottom left corner. Every action taken as an owner while at your store uses money from your store’s funds. 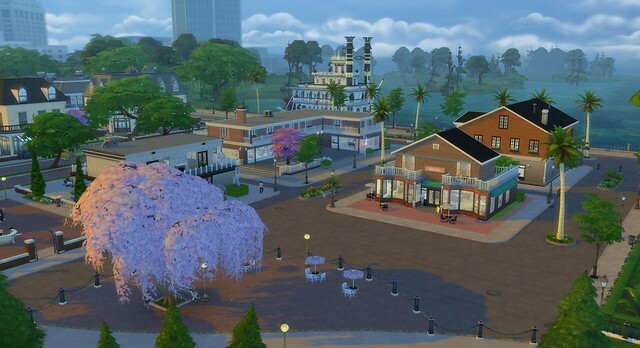 This includes building on the retail lot, placing objects, restocking items, paying your employees, purchasing advertising, and more. When you enter Build Mode, the money shown in the bottom left corner will switch to display your store funds that you’re building with. Finally, any money you gain from your store’s sales will be deposited to your store funds. There’s a chance that your store can go into debt if you don’t have enough money to pay your employees, or if you purchase advertising while low on funds. If your store doesn’t have enough money to pay its debts, you won’t be allowed to reopen your store until those debts have been cleared. Transfer money from your household to your store to cover your debts. At any time you can use the Transfer Retail Funds button neat your household’s money in the bottom left corner to move money between your household and any of the stores that you own. Within this panel you can select the account you’re transferring from and to, and enter the amount of money you want to transfer. Try transferring funds when you need more money to pay for your store’s expenses, or to send the profits from your store back to your household for use at home. You can click the register and select “View Finances” while the store is open to get a detailed breakdown of your profits and expenses. Use this information to make strategic decisions about your store to help maximize profits. If you decide to sell your store, any remaining money in the store’s funds will be returned to your household. If the store had a negative balance at the time of sale, money from the value of the lot will be subtracted from the sale to cover your debts. Retail (Displays) – There are a variety of retail displays and pedestals that you can place in your store to show off your wares. They can be found in the Retail Items section of the Build Catalog while editing your retail store. Some displays are themed for selling particular items; for example, you can easily drag food that you’ve just cooked onto the display shelves without even entering Build Mode. When an item is placed on a pedestal or display, it is automatically flagged as being “For Sale” as a convenience when setting up your store. If you don’t want an item places on these objects to be sold, simply click on the item and select “Set Not For Sale”. Perishable items that are placed on food displays will take much longer to spoil; making them ideal for creating stores like a bakery. The Retailer Freezer object is unique. It has an inventory which you can place perishable items inside and then have them be sold to customers. Any item within its inventory will automatically be considered purchasable. As customers purchase items from it, you’ll need to manually restock its inventory. If you visit a store as a customer though, you can purchase as many items from the freezer’s inventory as you desire without it running out of stock. Displays and pedestals will get dirty over time while the store is open. Be sure to assign an employee to clean the store if things start to get too grungy. Shoppers are more comfortable purchasing from a pleasant retail environment. Retail (Perks) – Owners of retail stores can earn Perk Points from running their store. Players can use those Perk Points to buy Perks, which in turn, make the store more effective. You’ll find the various Perks withing the Retail Store panel in the bottom right corner of the screen. There are a wide variety of Perks to choose from. 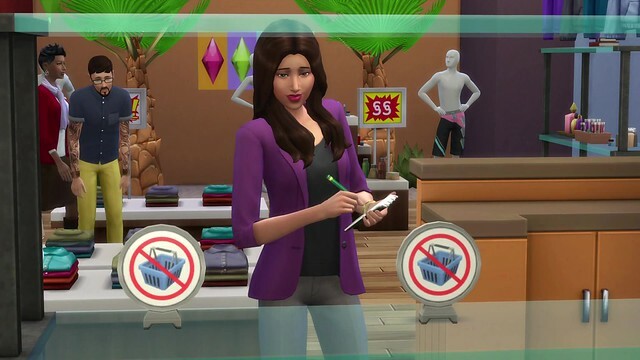 They range from unlocking special retail objects and clothing, to improving your own Sim’s ability to run a successful store, to modifying your customer’s behavior. There are even powerful bonuses like the ability to hire additional employees. Perks that are purchase will be applied to every member of your household. Some Perks provide a temporary bonus, such as the ability to get a discount on any restocking fees for the remainder of your shift. You can return to purchase these Perks again in the future once your original purchase runs out. Retail Perks have a direct impact on your store and your household’s Sims that you’re playing. Employees that you hire to work in your store are not affected by the Perks. Instead, employees can be improved separately by building their skills at various retail tasks. You can learn more about that in the “Retail – Employees” lesson. Earning Perk Points is simple – just have your Sims help out around the store. Interacting with customers, restocking items, and ringing up on a sale will all provide some Perk Points. Employees will not earn Perk Points for you, so get to work! 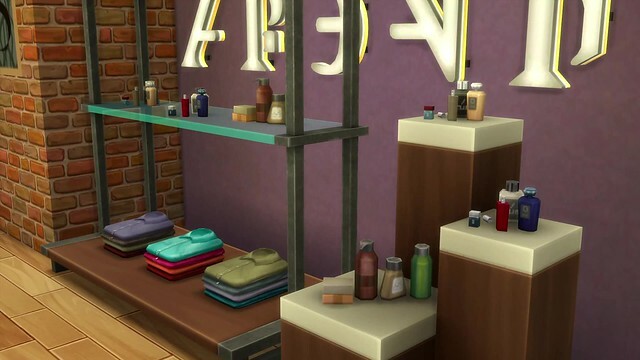 Retail (Copies of Craftables) – It can be a time-consuming task to make items to sell for your Sim’s store. Fortunately, Sims can create copies of craftable objects such as panting, books, woodworking objects, and Photographs. This is useful in the retail career to create new inventory or if you just want to have copies to decorate the house. To make a copy, select the craftable object and select the Copy interaction. You can then find the copy in the Sim’s inventory. If the object is not allowed in Sim inventory, it will be placed into household inventory. Making copies does cost Simoleons. Copies of craftables will be lower quality than the original. Making copies of copies will be even lower. Copies sold at retail will not generate as much profit as the original version, but it can help ensure you have a good supply of inventory. Baking Skill – Baking adds to the cooking system with new recipes and fun ways to dress up your Sim’s baked goods. 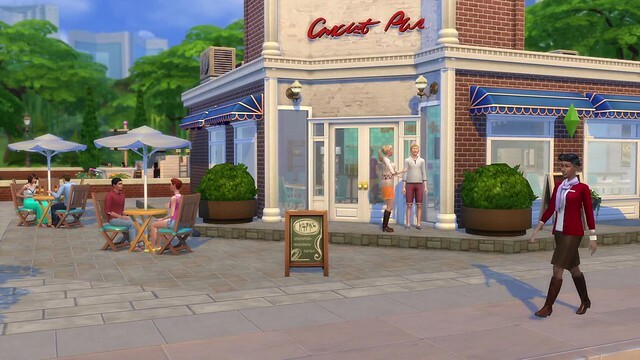 Sims can bake foods such as cookies, pies, tarts, doughnuts, and specialty cakes. 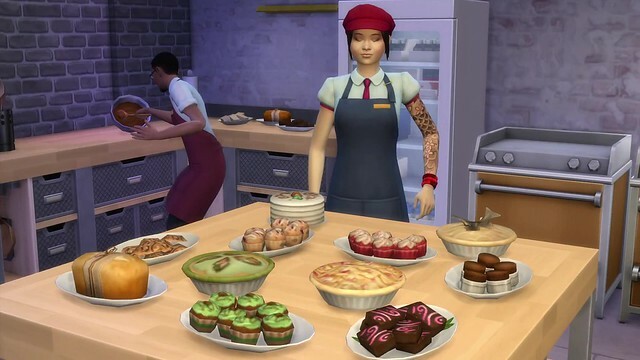 Baking can be used in the retail system if your Sim wants to run a bakery business. Some essential objects that help sell baked goods include the Cupcake Factory and Warming Rack, which are used to store baked food items. The Cupcake Factory can be used to create small, mass-produced pastry-filled like doughnuts and tarts. 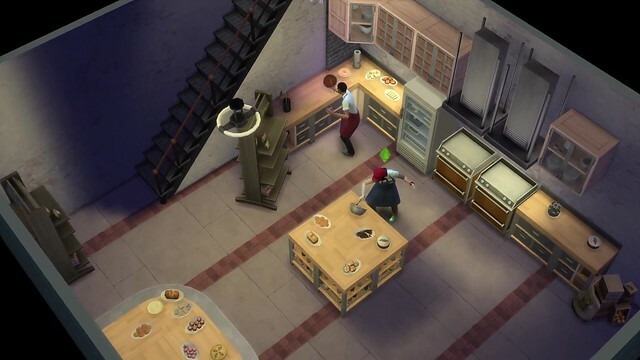 As your Sim progresses in the Baking Skill, they can add toppings, frosting, or piping (at a small Simoleon cost). Notebook – The Notebook is a handy tool that keeps track of recipes and knowledge that Sims may uncover while playing the game. For example, if your Sim has discovered how to splice 2 plants to make a snapdragon, the Notebook keeps a log of the plants required to make a snapdragon. The Notebook can be accessed at the top of the phone menu. It will give you a lot of useful information that can be used for crafting and collecting. It tracks recipes and knowledge across a number of skills and careers. Examples are the Science Career, Herbalism Skill, Gardening, and Fishing. Photography Skill – Sims can take Photos using a camera or cell phone. The more your Sim takes pictures, the more skilled they’ll be at capturing oh-so precious moments. Taking Photos is a cinch on the phone – under the Entertainment section, there are options to take Photos of objects, other Sims, a Selfie, or a Selfie with another Sim. Sims can also purchase cameras in Build Mode. Certain cameras have more options for taking pictures, such as zooming. To take Photos, place the camera in the Sim’s Inventory, and select the camera for Photo-taking options. When taking a Photo, the screen enters a first person view. The camera tools allows you to make find adjustments to the shot, such as adjusting camera view (rotation/pitch), zoom, size and aspect, applying filters, and turning flash on/off. But note that some of these options are only available on fancier cameras. You can do a number of things with Photos taken, such as hanging them on walls, selling them in retail stores, or converting Photos to Memories. Another useful object for taking pictures is the Photo Studio Object. This allows you to take Photos of up to two Sims using a camera on a tripod. Different types of backdrops can be used to set the mood. This is especially useful for Sims who would like to make a few extra Simoleons by taking quality Photos. 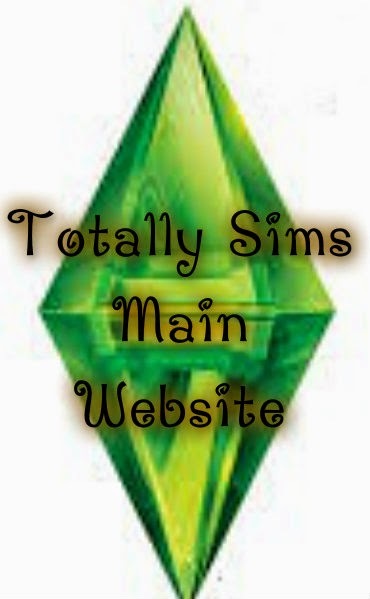 Sickness – From time to time, Sims of any age can come down with some sickness symptoms. This can range from coughs and stuffy noses to polka dot like skin patterns. 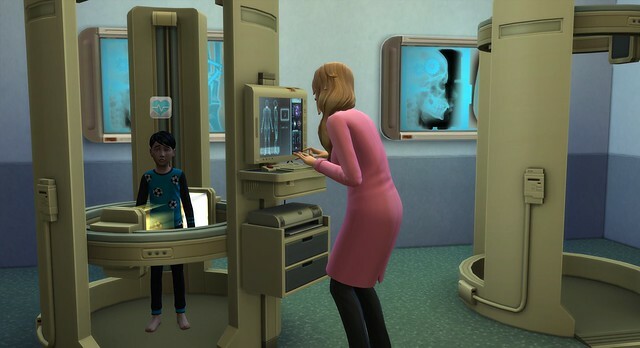 Sickness can be contagious – socializing with a sick Sim is a sure way to contract a bug. When a Sim is sick, they can call in to miss work or school from the phone. If you are feeling brave, you can try calling in sick when your Sim is not sick, but that will only work so many times till the boss catches on. To get better, Sims should get plenty of sleep, drink orange juice, or order medicine from the Computer. Your Sim should probably not try drinking medicine if NOT sick. Basements – Basements can be placed as functional rooms below terrain level. In Build Mode, the basement tool can be found under Walls and Empty Rooms. Basements can be placed at ground level by using the Basement tool, or by moving the camera below-ground and placing rooms as normal. Basements can be placed up to TWO levels deep. Floors and ceilings can also be removed. In order for Sims to access basements, make sure to place some stairs. Since basements are set below terrain, you cannot place windows or doors along the outer walls of the basement. Exterior walls also cannot be deleted. Basements have a ton of new possibilities! Create underground labyrinths, or underground laboratories that are surrounded by pools. Community Venue Sort – In build Mode, players can easily sort items needed for Venues using Sorting. Under Objects by Function, the default drop down displays all objects that satisfy the specified venue type. Players can also choose to only show Community items. These objects are not required to be in venues, but are generic Venue items. Of course – if you want to just see EVERYTHING – you can do that as well. HI. This is really ideal blog. Hope to do something good and informative blog in future . Thank you. Very Nice and Attractive one. Nice blog. Hi! Great blog. Keeps the builds and tutrials cming in future too.. Hi!... such a beautiful build. congrats!﻿…Keep going in future too. Hi, I am really exiting while reading your blog. It is very informative and easy to understand for all level skilled users. Perceive topics download hp envy 4500 Thank you for sharing. Renowned articles 123.hp.com/dj3630 Thanks for sharing useful information. Prominent articleshttps://goo.gl/skrf8j, https://goo.gl/gvr2cV, https://goo.gl/iw4Asv, https://goo.gl/DJmhzY, https://goo.gl/paK63M Thank you! Well known articles 123.hp.com/setup Thanks for sharing useful information.